If You have purchased a domain name and you Can get a email @YourDomain.com. For Free Like Admin@gettrickz.com So Google Application. 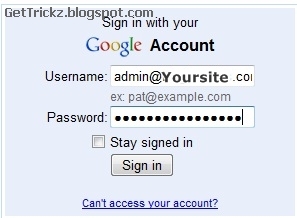 Will Help you To Get a Free Email ID. Please Follow the few steps to get your free @yourdomain.com Email Id. Before you start you must be able to access and change your DNS settings. You can usually find the DNS settings where you purchased your domain name. In this example, I use Indialinks.com and the DNS is located in the Domain Manager. Friends Now Its Ready To use your Email Along with your Domain name !! !